Be sure to check out and enter the newest contest from "MACKIE". 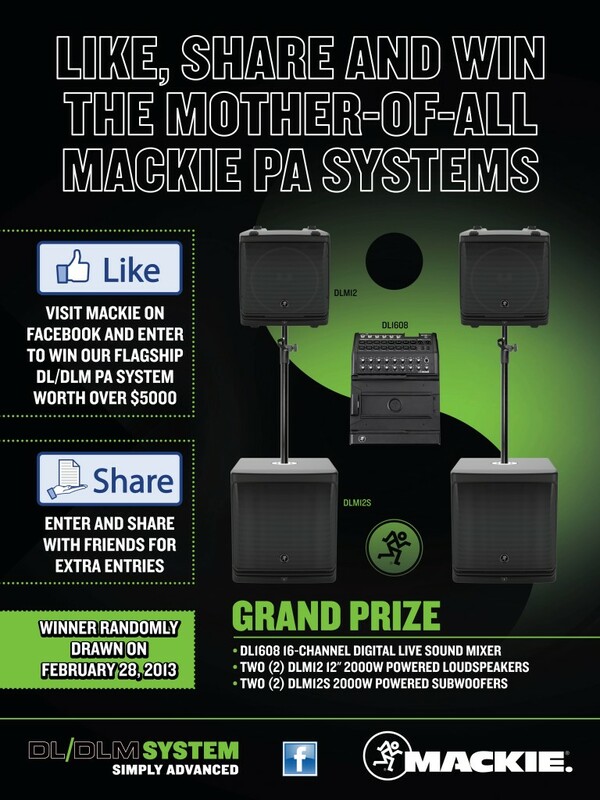 Here is a chance to win a complete DL/DLM Series PA System worth $5000.00 US!!! Sound Gear Made In the USA!